I felt like doing something new. drawing does not come easy lately. I started from a skeleton to fill it with all the thing it contained. 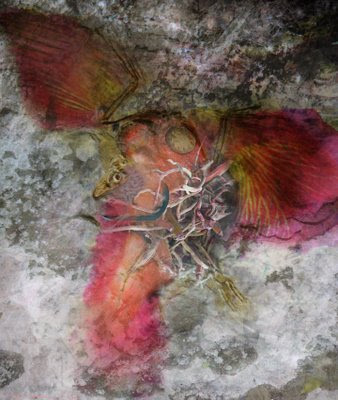 the first animal found with feathers. more important, the first animal to go beyond its own limitations and sublimate its own nature. from the surface of the ground it climbed up in the air. I keep it with me as a reminder that life is not necessary if you don't try to make it more than what you already are.